Last week KYUK got a visit from Indian Country Today’s new managing editor, Mark Trahant. “Wassaja is a really storied name in Native journalism. It was originally a newspaper by Carlos Montezuma in the 1920s, and later again became a national newspaper in the 1970s published in San Francisco,” Trahant said. The name was chosen to bring the indigenous journalistic legacy to the forefront; a 10 episode season is slated to premiere on May 31. The first episode, titled “She Represents,” focuses on Native American women running for public office. But the story Trahant came to Bethel for is not about Alaska Native women running for Congress, something both Georgianna Lincoln and Diane Benson have done in past years. This year, Trahant’s Y-K Delta story will focus on the success of the Dental Health Aide Therapist program. It will be episode seven. Trahant has also now taken on the role of editor for Indian Country Today, formerly Indian Country Today Media, and once the Lakota Times. Trahant will re-launch the national online news site under the ownership of the National Congress of American Indians, or NCAI. Trahant says that using the name will tap an enormous built-in following of Indigenous peoples across North America. 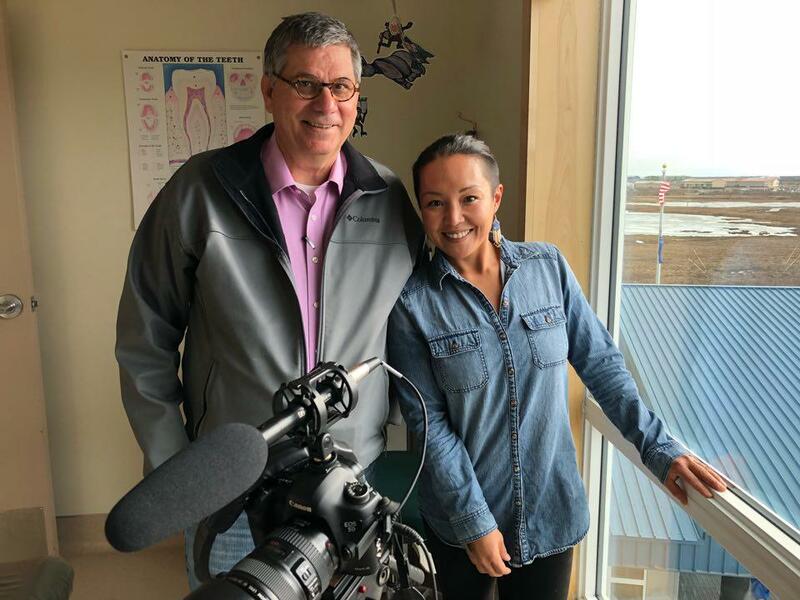 Videographer Jacqueline Cleveland (left) filming the Kuskokwim river with Mark Trahant (right) as they report on the Dental Health Aide Therapist Program in Bethel on May 3, 2018. “It’s funny, it’s one of those names that we probably would not use if we were starting up from scratch, but it’s such a strong brand name that we can’t mess around with it. But in the subhead of the new logo we’ve created, it talks about digital indigenous news, and they really are the three things that we’re going to concentrate on,” Trahant said. 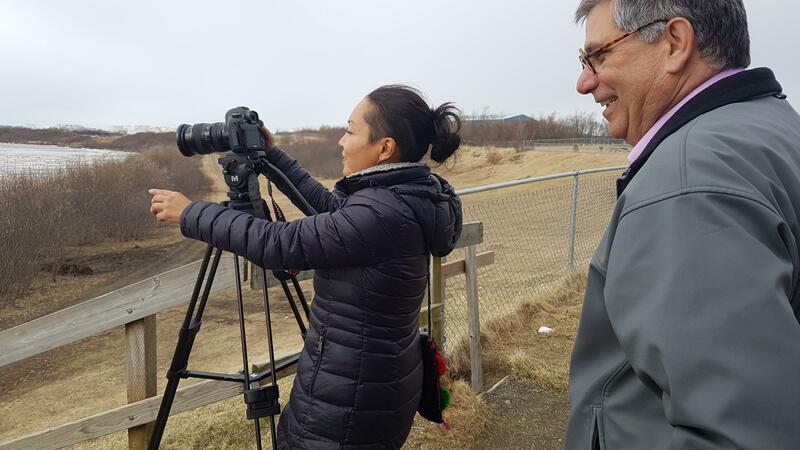 With a team of two that will soon expand to four, Trahant will begin producing daily online reports on Indian Country news, including, of course, Alaska. Trahant says that the workforce of Native American journalists has changed throughout the years. At one time, he saw Alaska in the forefront. But with the decline of newspapers, Native journalism in Alaska fragmented, Trahant says. Now, though, he sees a national groundswell from the younger generation. But it could be that many of the biggest stories emerging for Indian Country will actually be taking place on a national stage as a conservative administration and Congress seek to cut back funding for social programs without always recognizing that Native Americans are not just another racial minority in this country.